Imusify is a music platform and ecosystem designed to provide an open-source innovation space for developing new means of music distribution, consumption, and engagement. Imusify’s self-publishing platform creates an efficient system for artists and content creators to network and collaborate, while maintaining direct ownership of their work. ϑ IMU tokens will be used as the engine to support imusify’s proprietary music economy, creating an immense potential value for the token’s use as a means for exchanging value between artists, fans, and other participants. In today’s music industry, money speaks louder than ever. The rapid digitalization of music has led to a wide range of avenues for monetizing content. The problem however, is that the music industry was built as a centralized system for physical distribution. This was more practical in the 1970s when there was no internet and record labels were distributing actual records. This centralized system was not designed for today’s digital world and its outdated structure creates multiple inefficiencies in the music value chain. Fortunately, we now have the technology to begin to decentralize the music industry, providing increased value to artists, consumers and other industry players. 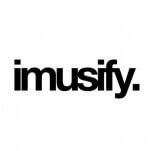 imusify is one of the pioneers of music’s decentralization movement. Other blockchain music projects also show leadership in tackling certain inefficiencies such as event booking and copyright management. However, what sets imusify apart is that it aims to serve different shareholders and players across the entire music value chain, including crowdsourcing, collaboration, production, distribution, promotion, curation, live events and more. While existing blockchain music projects address several current pitfalls of the music industry, imusify is designing for the future. We are building a scalable and adaptable technology framework for artists, music lovers, entrepreneurs and developers to use our platform to connect with the imusify community, create collaborative content and build new use cases. While blockchain poses myriad opportunities to increase quality of life for virtually anyone in some way, operating as a decentralized organization presents inherent risk. With the birth of cryptocurrencies and exchanges, the barrier for investment decreased dramatically. The subsequent flood of currencies and initial coin offerings (ICOs) entering the market has led to several economic boom and bust episodes. A boom and bust episode occurs when a company experiences a significant rise and fall in asset prices that do not directly relate to the firm’s value or profits.1 With blockchain still in its infancy, very few currencies are mature enough to be traded based on their use case’s delivery of value or return of profits. Although a cryptocurrency exchange exists similarly to a stock exchange, until now cryptocurrencies have been traded solely on speculative basis, with little consideration for the actual value or potential profitability of the company. imusify considers it a responsibility to present a cohesive document that allows us to escape the “whitepaper era” of blockchain and currency trading and into the era of real use and real value. While most whitepapers do not discuss the greater context of the blockchain economy, this analysis can be valuable to our readers by clarifying the inevitable uncertainty of an innovative venture like imusify, and by providing the necessary information for shareholders and early adopters to make informed decisions.